Real estate in the Czech Republic as a summer residence, a home or for business? For some people real estate in the Czech Republic is a proven way to protect their free financial resources from inflation or crisis. Others, year after year, choose to spend their holidays in the healing mineral waters of this country and acquire lodging in Karlovy Vary and Teplice. Still others are seeking a high standard of living in Prague and prefer to move to the Czech Republic, because of the proximity of our cultures and languages. Each of them quickly and easily finds the local property market they prefer. By tradition, the Czech Republic is considered to be the country of springs, and this, of course, is the truth. Homebuyers in the Czech Republic purchase housing on the magnificent ski resorts and lakes. After all, a house in the mountains is much cheaper than in alpine resorts, and the conditions for ski sports in the Czech Republic are excellent. In particular, many people are purchasing houses and cottages at the beach resort Macha Lake as a summer residence abroad. In short, in every corner of the Czech Republic you can always discover something new and unexpected. 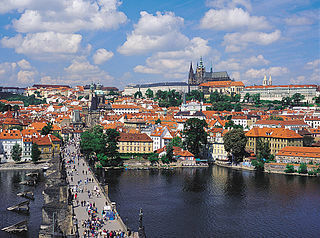 Foreign buyers are increasingly choosing the Czech Republic as a principal residence. The Czech Republic - economically developed and stable country with very good ecological environment. Many families prefer property in the country's capital, because of the ability to give their children a high quality European education and to develop a successful own business in the center of Europe. Moreover, in Prague, along with a variety of residential and commercial lodging, you can find many attractive offers for starting a business. How can a foreigner buy property in the Czech Republic? Czech market is attractive for foreign buyers not only with multiple offers and relatively low, compared with other countries, housing prices, but with fairly simple and quick purchase procedure. Buying of apartments, houses and land in the Czech Republic is possible only in the presence of a valid international passport. You can sign a deal as a legal or individual person, depending on the purpose of the purchase of real estate.